Abuser is an extremely powerful hybrid analog virtual instrument for NI Kontakt. Under the hood of this beast lies 1.538 pristine audio samples, direct from the Sherman filterbank , a filter effect box with unique tube sound overdrive. A pure analog machine which is not based on processor calculation speed. 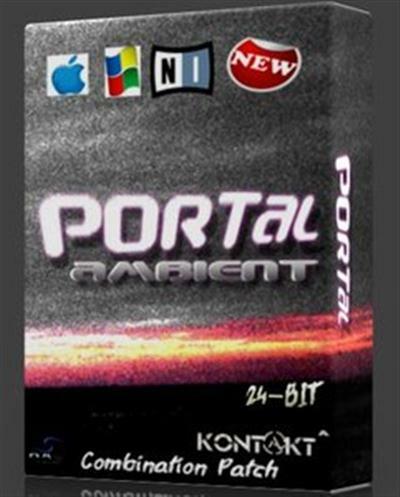 Sound Dust Cloud Bass KONTAKT . 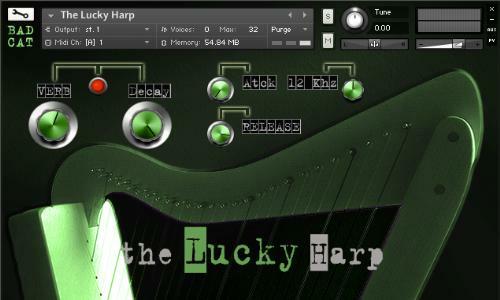 "The Lucky Harp" is a meticulously recorded, and incredibly deeply sampled Celtic Harp instrument. Offering 6 Velocities Layers, and 6 Round Robins giving 36 unique samples per string. The particular instrument that we sampled was a 26 string Diatonic Celtic Harp in the key of C. Our goal was to offer something incredibly deep and extremely expressive, and we are very pleased with this latest offering. Berlin Woodwinds Expansion A, is the official continuation of the Berlin Woodwinds main library (although you can own the expansion without having the full Berlin Woodwinds library!). You´ll get 3 wonderfully, fine sampled instruments to extend your current wood collection with some new colours. A Contra Bassoon, Bass Clarinet and an Eb Clarinet. Everything is recorded in the same stage, the Teldex Studio in Berlin with top musicians from the renowned orchestras there. While Adventure Brass lends itself to bold lines in traditional settings, Trailer Brass was produced with more modern, over-sized contexts in mind. We recorded three different groups: a ten-horn ensemble, a ten-trombone ensemble and the Horde; a three-cimbasso/three-tuba ensemble that has been aggressively processed for maximum beefiness. Orange Tree Samples Evolution Flatwound Bass KONTAKT . Evolution Flatwound Bass features a vintage P-style electric bass equipped with flatwound strings for a deep, rich tone. We developed the library in collaboration with Rosewood Recording Company, one of Utah's most venerable recording studios. Guy Randle, the owner and recording engineer at Rosewood Recording Company, incorporated analog audio equipment to skillfully sculpt and emphasize the rich tonal qualities of the bass, available as an enhanced signal provided in addition to the as-recorded signal.